We have a neapolitan show coming up on Saturday, November 3rd featuring some of the most neapolitan feel-good rock you have ever heard. Big Storm is bringing the big strawberry flavor of fun. 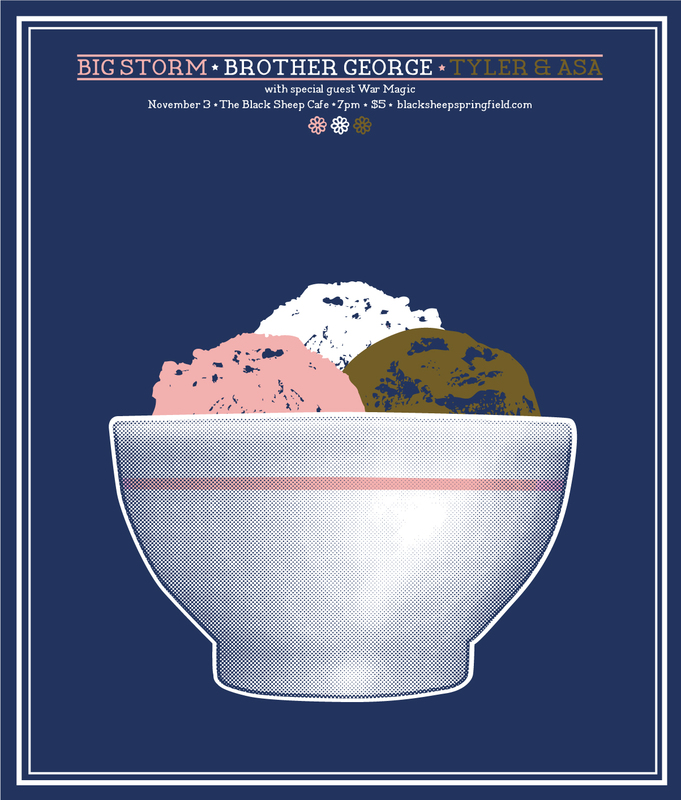 Brother George from Chicago is coming down for a very vanilla rockin time. Check out Tyler & Asa for some chocolatey surprises. And then we ran out of flavors for the new Springfield band War Magic. They are their own flavor. You can check out a facebook event for the show here. It starts at 7:00 pm and is $5. Feel free to check out some of our other upcoming events here.